The dog days of summer have arrived with a vengeance this year as temperatures have soared a bit higher than expected, agreed? You might be interested to know that the term “dog days of summer” refers to the “Dog Star,” Sirius, because it is the brightest star in the constellation Canis Major. Sirius also happens to be the brightest star in the night sky, so as you “seriously” fan yourself during these sizzling summer days, take heart that we are brightly shining with Divine radiance as we spin through the heavens together! After all, we Chatsworthians are no strangers to summer’s relentless heat gracing us with its fervor! However, with that said, we must be wise and allow our daily yoga routine to cool us, soothe us, and move us through the warm days with calm resolve. Cherise will be having her Summer Ayurveda Workshop on Saturday, July 15th, giving you lots of tips on how to cool down the pitta in your system and allowing you to glow from your internal beauty instead of sweat! Mark your calendar for a another awesomely calming Organic Resonance with Brian Walsh on Friday, July 28th, and perhaps take the plunge by becoming a Reiki I & II practitioner on the weekend of July 22nd and 23rd. Be sure to make your reservations for any or all of these dates either online or the next time you’re in the studio. Don’t delay, as space is limited! For all of our Kriyavans, we will have a special full moon Gura Purnima celebration on Sunday, July 9th, starting with a Yoga Sutra video discourse presented by Paramahamsa Prajnanananda at 9:00 AM, followed by meditation, aarti, a Guru Purnima video, and a potluck lunch. Please join us to celebrate the great Master lineage of Kriya Yoga and our Divine Spiritual leader Paramahamsa Prajnanananda. Your attendance is encouraged. If you are coming, please email us to let us know what you’d like to contribute for lunch. The program will end promptly at 1:00 PM. Refer to the Kriya calendar in the July newsletter, as there have been some changes to the summer class schedule. Also, make a note and tell your friends that the next Kriya Initiation will be the weekend of September 15, 16 & 17. Plus, Kriyavans will have a chance to spend the day with Guruji on September 13th. Contact us for more information. Philip Goldberg – Author and co-author of numerous books, including American Veda; public speaker and workshop leader; spiritual counselor, meditation teacher, and ordained Interfaith Minister. He lives in Los Angeles, cohosts the Spirit Matters podcast, leads American Veda Tours, and blogs regularly on Huffington Post and Spirituality & Health. Craig Marshall – A monk with Self-Realization Fellowship for 35 years who has spent over 100,000 hours in meditation and lived in various monasteries, in addition to traveling the world as a teacher and lecturer. 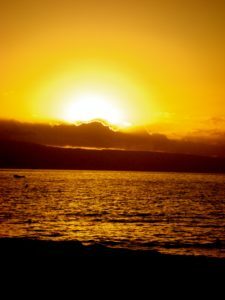 Craig now works with conscious professionals to help them define and manifest their personal and professional visions, in alignment with their unique life-purpose. Craig works one-on-one with clients and also is a public speaker. 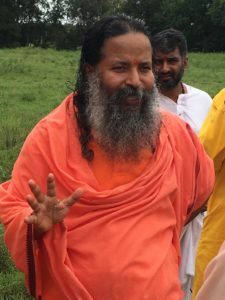 Special Guest: Paramahamsa Prajnanananda – Aglow with radiant wisdom, ever joyful, and reveling in the selfless sacrifice of a silent and secluded monk’s life, Paramahamsa Prajnanananda has ceaselessly traveled around the world to promote the message of Kriya Yoga to all who seek liberation. 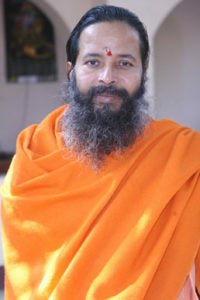 He has written and translated numerous books on spiritual topics, skillfully interpreting ageless philosophies in the light of modern science and technology. Using a simple, succinct, candid style, he demonstrates a broad scriptural knowledge, profound wisdom, and a delightful way with words. 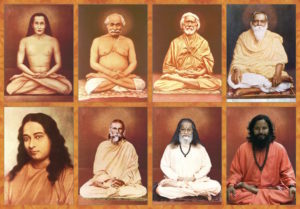 Able to focus on multiple tasks at one time with perfect precision and mastery, Prajnananandaji projects a buoyant, energetic God-intoxication. This world-revered master of Kriya Yoga is the epitome of boundless love, wisdom, and action. This is a rare and precious opportunity to be in the presence of a living Master and learn from his wisdom, experience, and example of unconditional love. Mark your calendars and don’t miss it! May great blessings continue to be yours. See you on the mat!